The Southland Times "Fear Of Disease Puts Off Beetle Release"
"A programme set up to release dung beetles on Southland farms so they can eat livestock dung has suffered a setback after concerns were raised about the spread of disease. An application was approved last year for the Dung Beetle Release Strategy Group to release up to 11 species of beetle to manage livestock dung. Strategy group spokesman Andrew Barber said the beetles were set to be released last summer but objections were raised shortly after they were given approval. Concerns were raised about the beetles' ability to spread bovine tuberculosis (TB) and Johne's disease as well as other public health issues, he said." "Dung beetles removed livestock dung and improved soil drainage and nutrients. They also helped reduce runoff and water quality, he said. It would be a long time before we could expect to see dung beetles making an impact, Mr Barber said. "It'll take a while. It'll take about 15 years plus."" Its our own Environment Southland FOR this crazy scheme! You'd expect our environmental guardians would be AGAINST it! So we're going to set loose "up to 11 species of [dung] beetle"......hoping they'll bury and eat up all the cow....poop........and we're told "It'll take a while", over FIFTEEN YEARS??? Absolutely insane! In fifteen years time, who the hell knows what our "dairy" industry will look like, presumably cows indoors, with crazy robots cleaning up after them. No more immigrant workers being exploited for as long as possible before they're sent back to their home countries. We currently grab as many Filipino workers as we can get here in Southland, working their fingers to the bone, and then we boot them off again, not allowing them to stay as citizens. As we see here, the Waituna lagoon area in particular is under threat by our uncontrolled "dairy" explosion. According to the video, in 1992 there were 50,000 cows used as "dairy" machines here in Southland. By 2000, there were 170,000. And by 2010, there were over 458,000. Now tell me, what kind of numbers are we going to be looking at in 15 years time from NOW, from whenever these freaky beetles are finally introduced to our unsuspecting land? Millions? Ah, but dont worry, the introduced species of crap eating beetles will have kicked in by then, they'll be "dealing" with ~2013 pollution levels......thats a start.....right? Hasn't anyone from Dairy NZ seen "Bart vs Australia", where The Simpsons accidentally introduce Cane Toads to Australia, causing a plague? "Its our own Environment Southland FOR this crazy scheme"
Can these beetles manage the sloppy would-be-pats Southland cows produce as a result of their urea-pimped grass diet? In Africa, they roll 'balls' of dung across the veldt and down into their beetle holes, then lay their beetle egg into the firm mass of manure. Never knew you read my blog too Robert! Wonders never cease! Dont bring up "The Veldt", that makes the idea of crap eating cockroach looking jumbo bugs even worse! About the immigrants, your country does it with Phillipinos, the US uses hispanics and I am pretty sure that my home country of France uses people from Algeria and Morocco for the dirty work. Exploitation is really (unfortunately) universal. This crap eatin beetles idea is so dumb, i can't wrap my head around it. 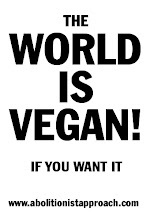 The solution is so simple: Go Vegan! we don't need dairy. I feel sorry for both the beetles and the cows in all this. New Zealand Schoolchildren Reject Free Cows Milk! Adventist Weekly Vegan Cooking Class!